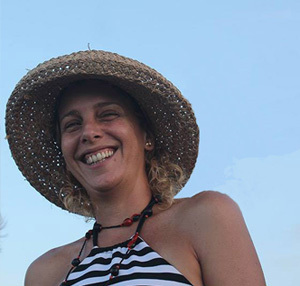 I have been invited to participate in the Project “Reduce your ecological footprint” that takes places in the beautiful island of Margarita in Venezuela. This community project is an initiative of the NGO Cooperativa Socio Proyectos Ambientales. They have for the past two years developed a very successful glass recycling project on the island. They now collect and recycle glass from more the 54 businesses and 47 community points. 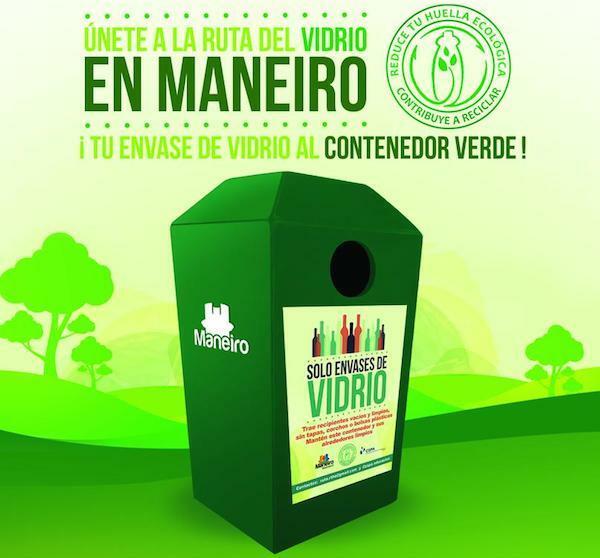 The project also includes a plan to educate the community on how to separate their waste from the source of origin and how to apply the 3R. 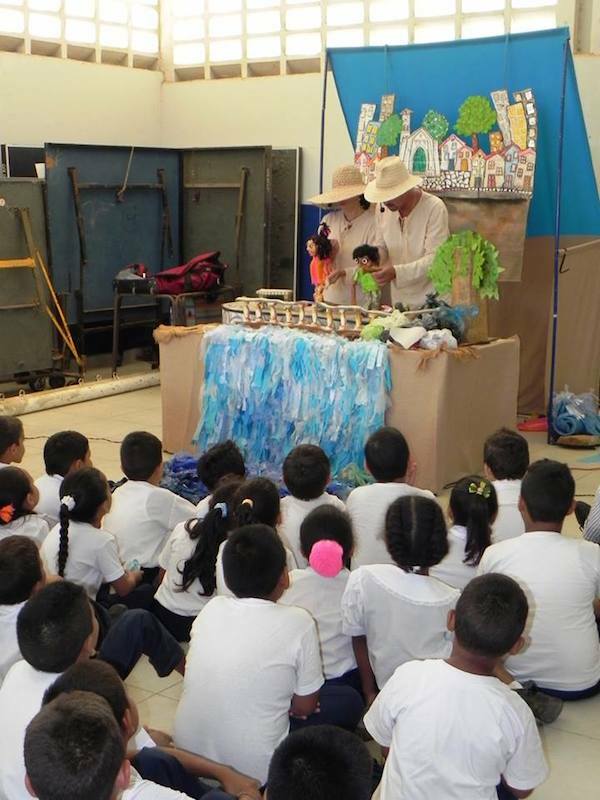 They promote the importance of the 3R message by taking the amazing puppet show “”El Tesoro de D´Autant”, to all the primary schools of the Maneiro district. They have invited me to facilitate the Workshop Plastic a resource for learning. I will be working with the teachers of these 21 schools, where the children have already been exposed to the importance of taking care of their island through the puppet show. 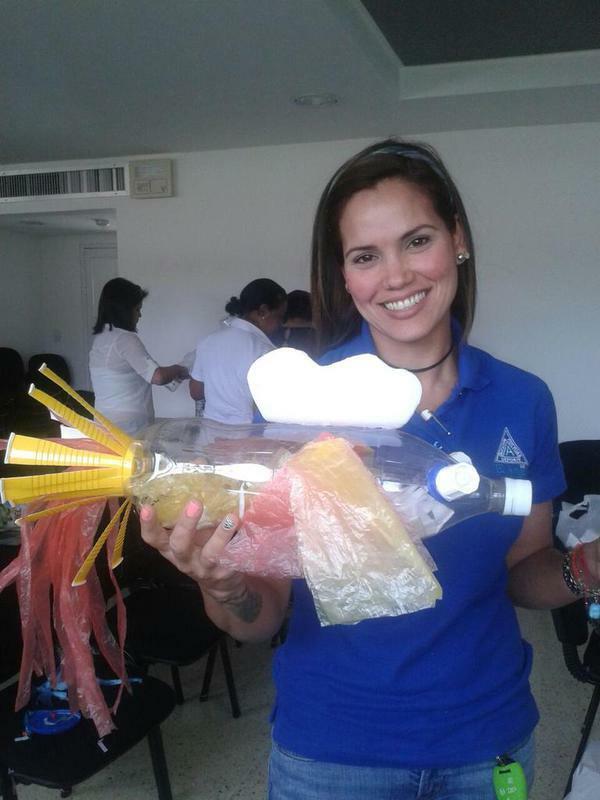 The objective of the workshop “ Plastics a Learning Resource” is that the teachers understand the environmental impact of plastics in the environment and that they acquired practical tools to reuse this material in their classrooms, schools, home, and their community. We know that working with children from school can influence not only the kids but their families. It is precisely this community environmental multiplying effect that is needed to face the big environmental challenges of out time. The Oceans are in danger because we have used them as dumpsites for so many years. After 60 years of producing a material that does not biodegrade the amount of plastics that are accumulating in the oceans is not only affecting thousands of marine wildlife but is also affecting us. All the actions we can take from now on to reduce, reuse and recycle plastics are necessary to guarantee our survival as a species on this planet. I am thrilled to work in this island, where I have lived and have visited many times during my life. Surrounded by the Caribbean Sea, thousands of people depend on this sea for their food. We are not the only one’s that depend on the health of this sea; other species also make it their home. There is so much to protect here, like the 4 species of endangered turtles that use this cost as their nesting grounds. The workshop is an opportunity for the teachers to enjoy, play and experiment with the material; single use plastics like bags, bottles, caps, straws, etc. Plastics can be a wonderful resource for teachers to create and active and creative learning opportunity that promotes important values like love and protection for nature, responsibility and cooperation among others. Reusing plastics is a great way to reduce the cost of buying new materials, which is good not only for the Venezuelan family but for the planet. We can use food packages as a substitute for paper to paint, to decorate bulletin boards, to make signs, costumes and gifts. It’s a great material to make games to teach mathematical concepts and to teach kids to read and write. Besides learning simple technique to reuse like making plastic yarn, collage with plastics and threading plastics to makes sculptures, the idea is to open a space for teachers to share their own reuse experience and to reflect about the benefits of using this material in their academic activities. I am also using this grand opportunity to spread the project Vision Ecobricks. 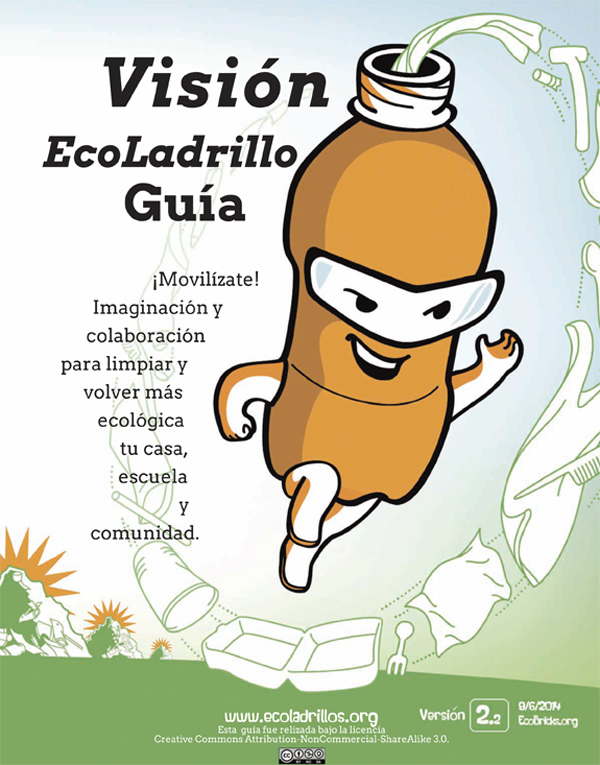 Teachers can promote the use of making ecobricks with the children, which creates the habit of separating plastics and stuffing them into bottles. Later with these bricks, the children can build green spaces in their community. This is a much larger project, for now we will be just introducing the making of ecobricks, but each school will have a complete guide if they want to take the project for all that it’s capable of. An important part of this project is to work from a shared vision, of a healthy and happy community. I will be guiding the teachers in a visualization to create their vision and so that they are capable of guiding their students in the creation of their visions. Once we have the vision we can all work together towards the common goal. This entry was posted in About, Community, PET Bottles, Plastic Bags, Plastic Pollution, REfuse, Sustainability, Trash Art, Travels, Upcycling Single Use Plastics, Venezuela, What’s Up and tagged Bottle Caps, Cooperativa Socio Proyectos Ambientales, ecological footprint, Learning Resource, Margarita Venezuela, plastic bags, Plastics, project Vision Ecobricks, REDUCE, Reuse, Straws. Bookmark the permalink.